It's been a great couple of days. SO great that I am dreading going into work tomorrow. I had a great time with the family. 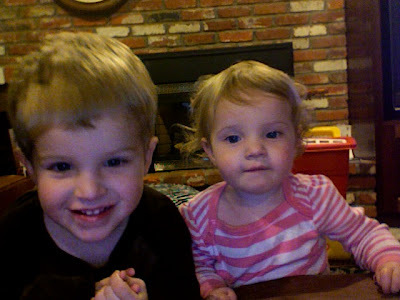 It was fun to see the little munchkins again. They are growing up so fast but are still cute as ever. Check out my family blog to see better pictures thanks to my brother Jared. We were going to run the 5k Turkey Trot Thanksgiving morning, but we bailed the night before as we were super tired and the forecast was for snow. I did however, still run that day. It was only about 2.5 miles, but it was in the snow and half of it on my own. It felt great to run again since I've slacked on the gym this week. Thanksgiving dinner consisted of great food, a few timeouts, and lots of dishes. We met up with our family friends for dessert and later that night went to the movies. Aside from not getting a nap or having the Clays there, it was the perfect day. Saturday morning Steph and I jumped in the car and drove back to Seattle to catch the Brandi Carlile performance with the Seattle Symphony. This concert was AMAZING. I can't even describe it. Hearing her sing my favorite songs with a full live orchestra was a once in a lifetime event. She truly is an amazing performer. She inspires me to keep playing the guitar. 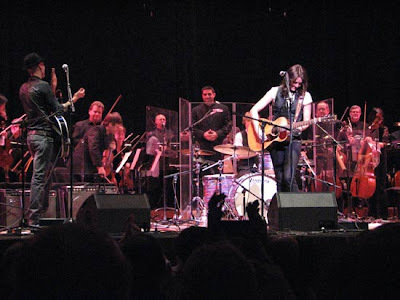 Her performance of Leonard Cohen's Hallelujah with the orchestra was a spiritual experience never to be forgotten. She started out the show playing acoustic with her band for 30 minutes before the intermission. The orchestra came out with her for the second half and played along with her. She even performed a new song, Oh Dear, for the first time that will be on her new album! As if this was not enough, Brandi said they were recording the show and will be releasing the performance. Add another chapter to my Brandi Carlile concert obsession book. looks like an amazing concert! i love brandi so much. her music is A MAZE ING. love.